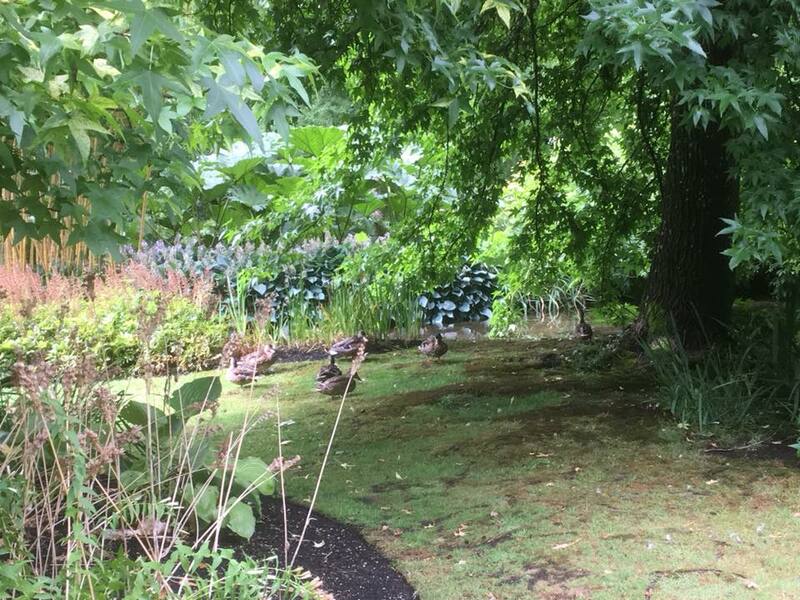 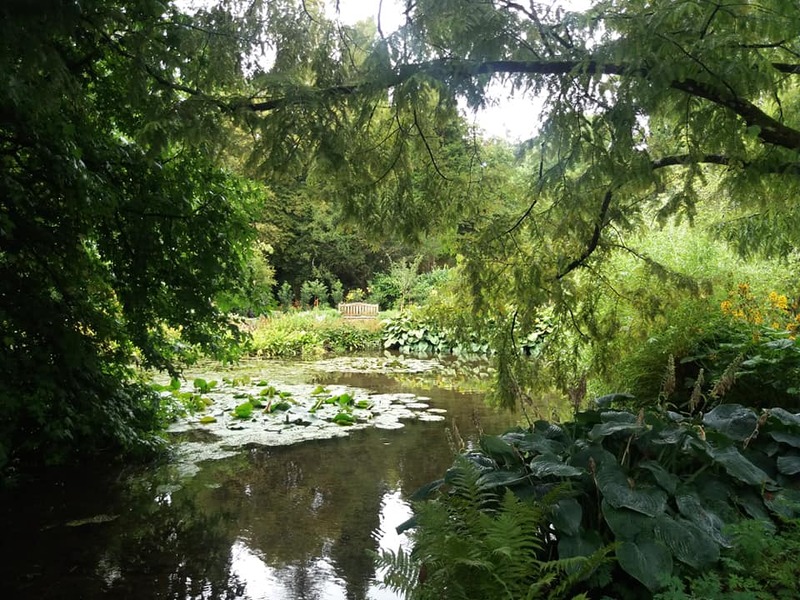 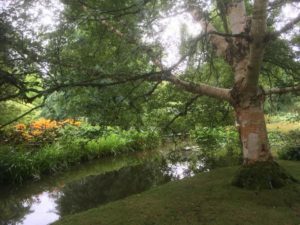 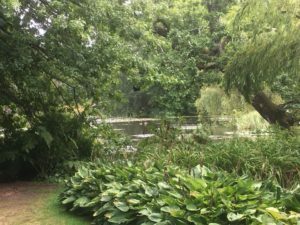 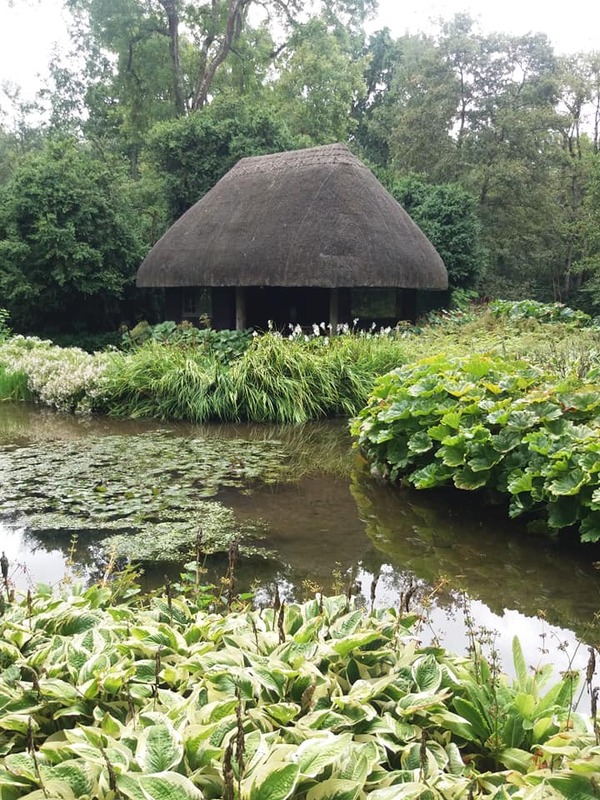 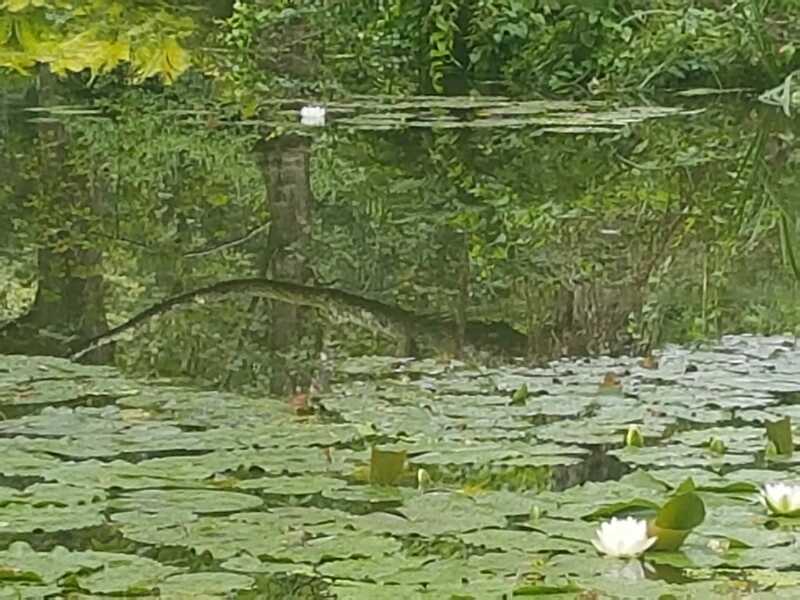 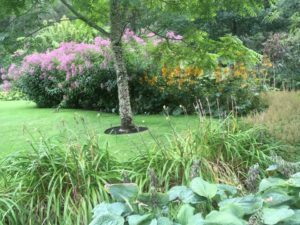 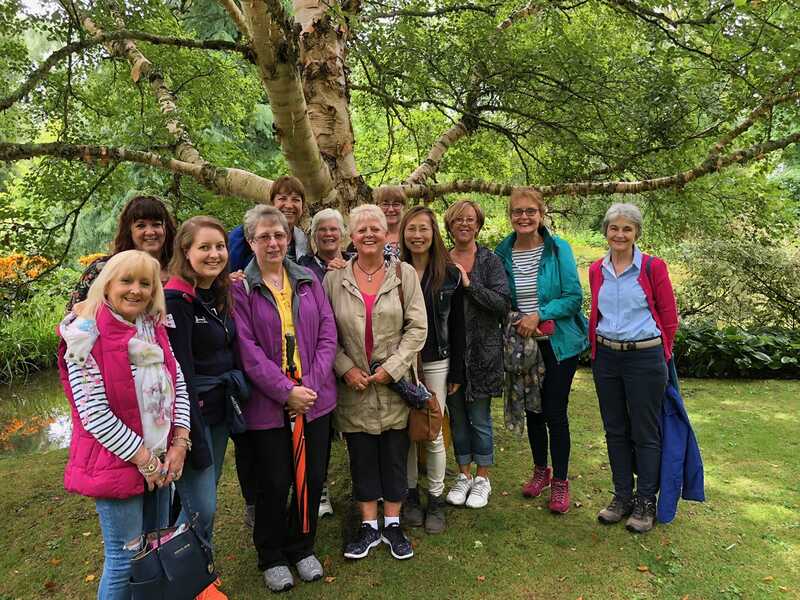 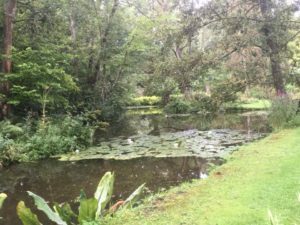 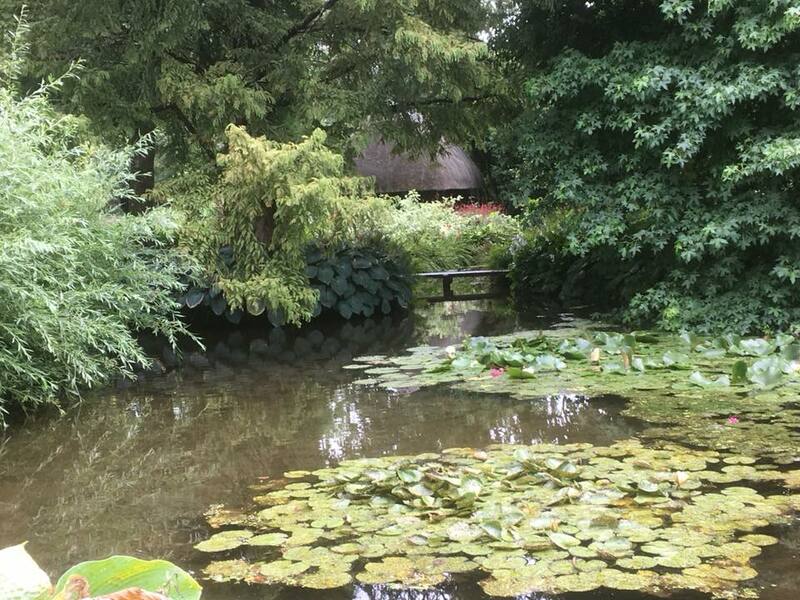 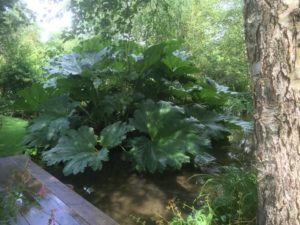 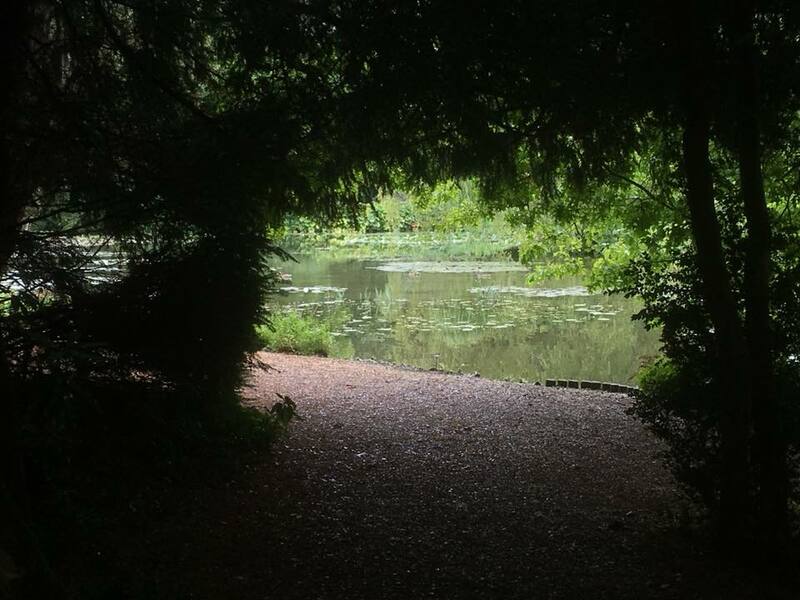 On Thursday 16th August, 12 ladies visited the beautiful, peaceful Water Gardens at Longstock, followed by a scrumptious Afternoon Tea at the Leckford Estate Farm Shop and Café. 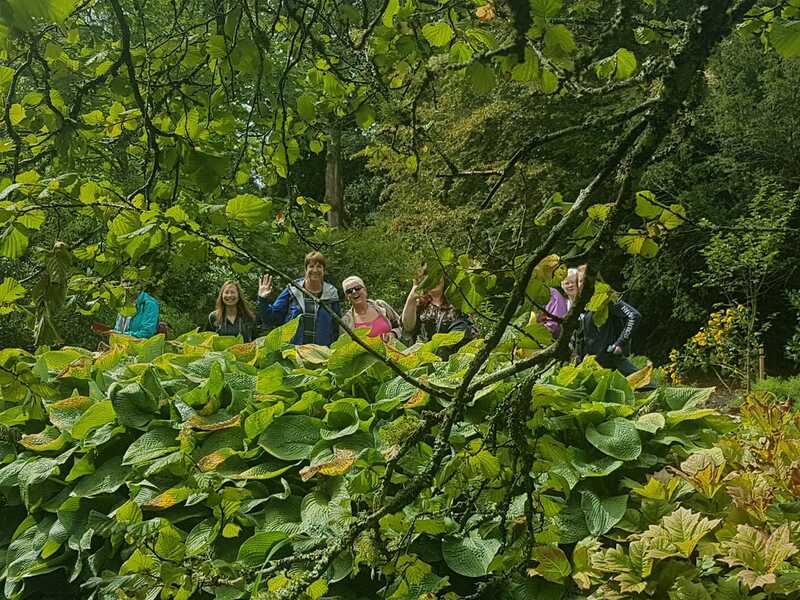 After torrential downpours in the morning, we kept our fingers crossed for dry weather for our 1pm tour. 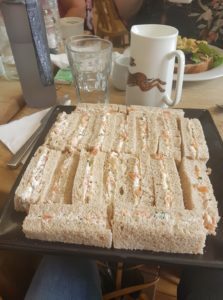 With some initial confusion around the location of this jewel in the Hampshire Countryside (whereby 6 cars could be seen driving around in circles and up and down the same road several times), we eventually came across the official sandwich board sign which is only put out when the Gardens are open. 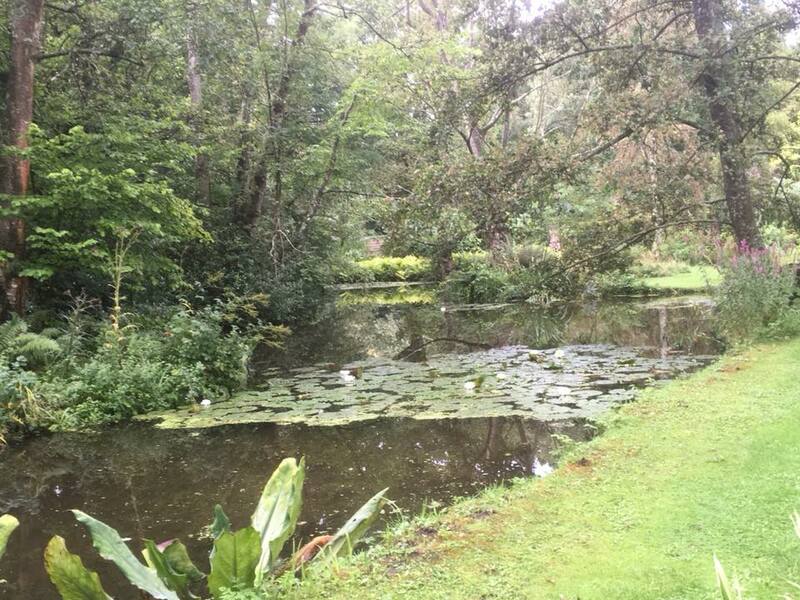 As we had a private tour booked, the signs weren’t put out until our arrival time…. at least that is the story we’re sticking to! 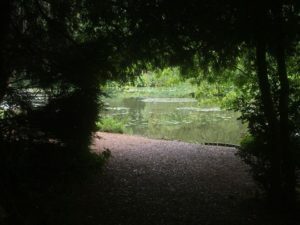 Walking boots and trainers at the ready, we walked through a gap in the hedge and we were greated by THE most amazing site! 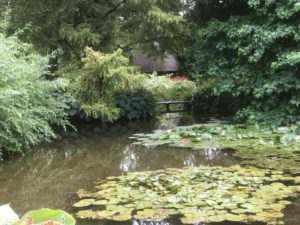 The Garden is described by the “International Waterlily and Water Gardening Society” as ‘The finest water garden in the world” and it didn’t disappoint! 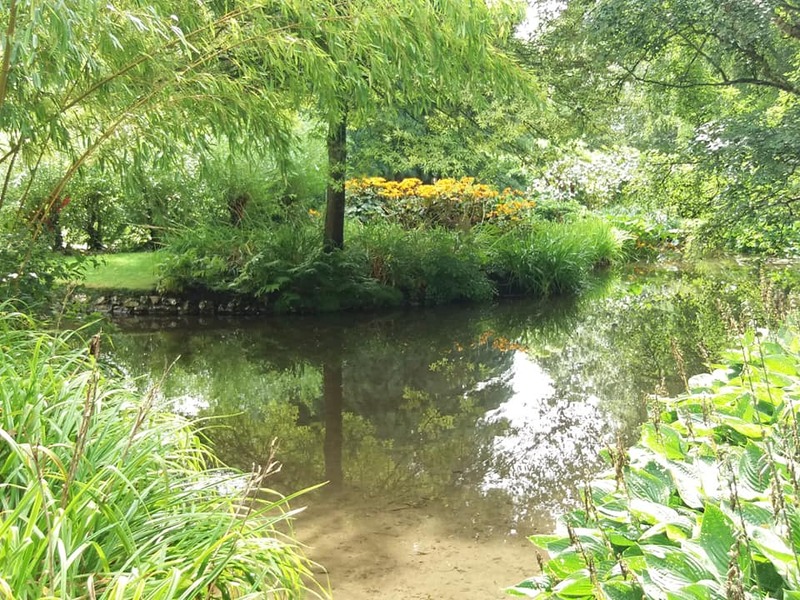 A woodland garden and water garden with small islands linked by bridges. 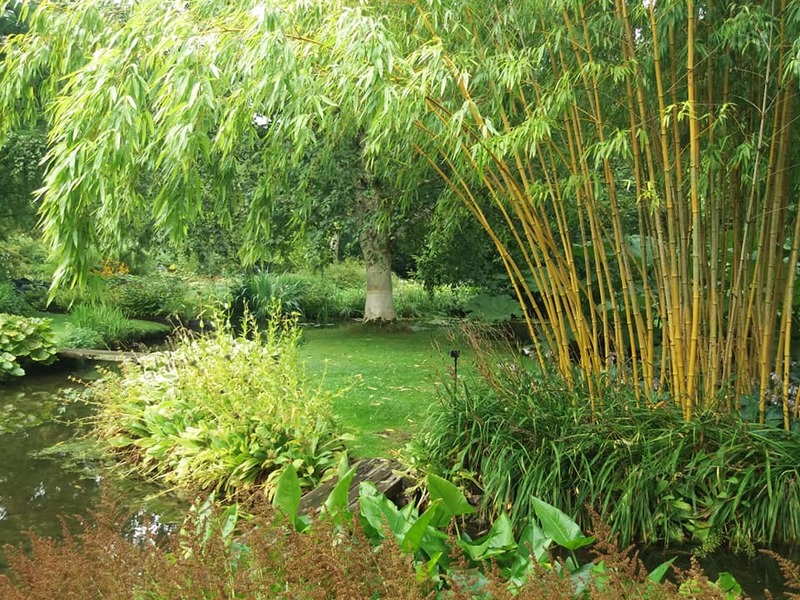 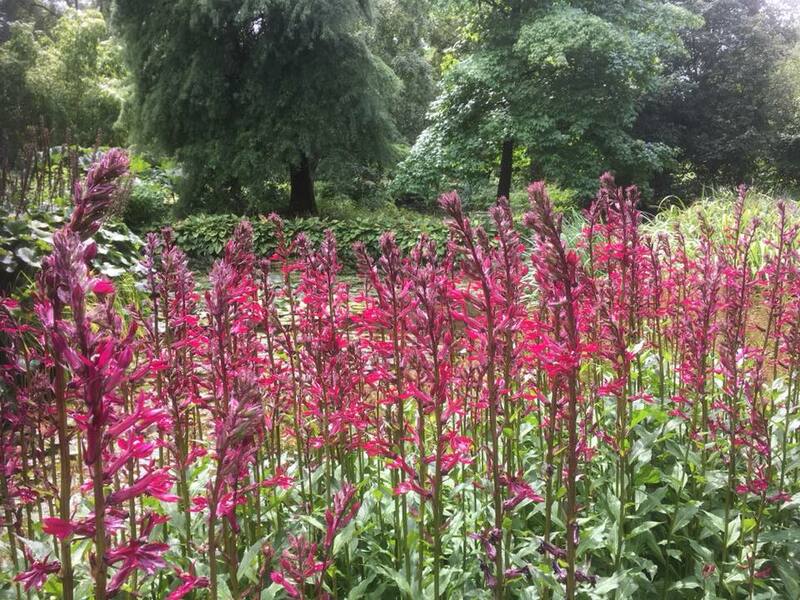 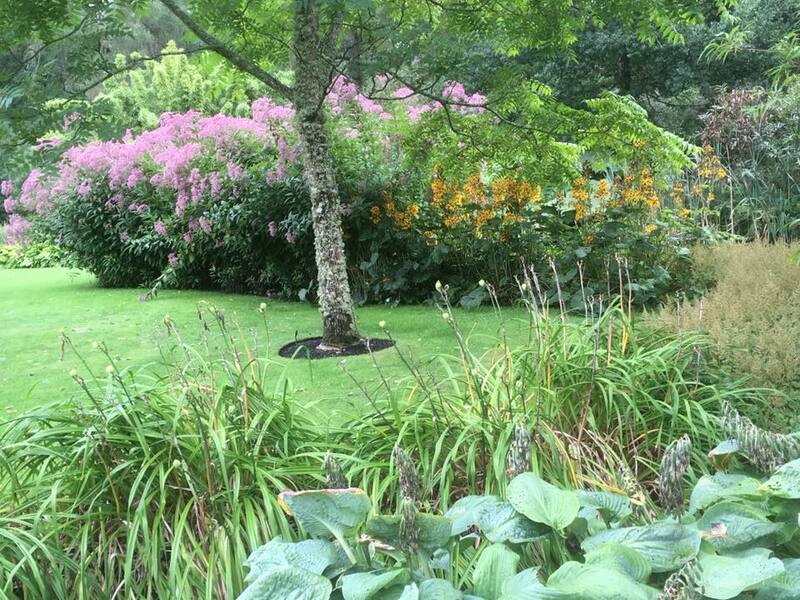 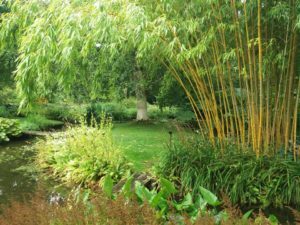 The water is supplied by the River Test, and the planting is lush and varied. 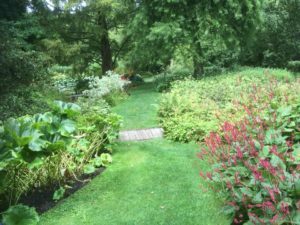 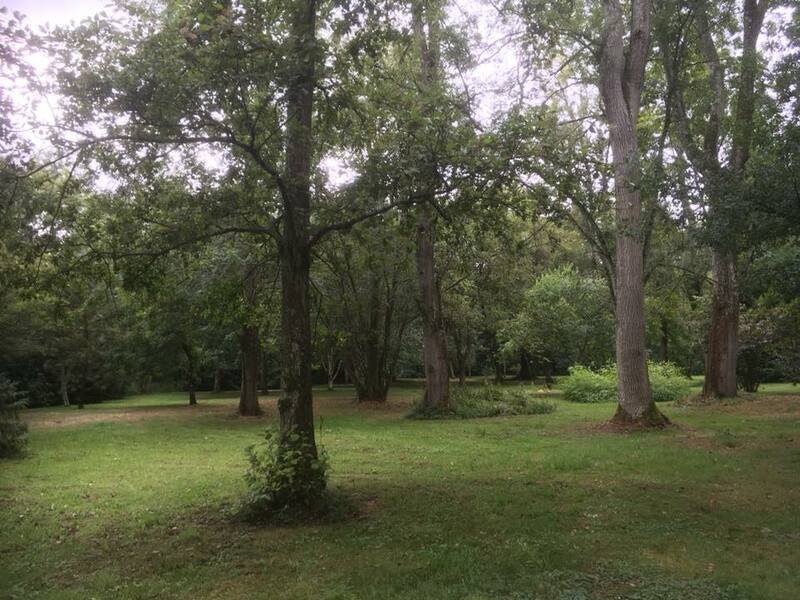 Robert Ballard – the Garden Manager – gave us a brief history of the Garden. The Water Garden covers around seven acres and was originally created by the Beddington family during the early 1900’s. The water gardens became part of the Leckford Estate in 1942 and since then the gardens have been nurtured and developed to become the finest, famous water gardens. 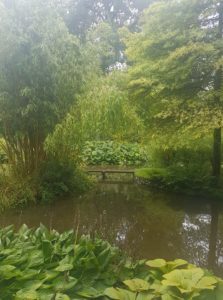 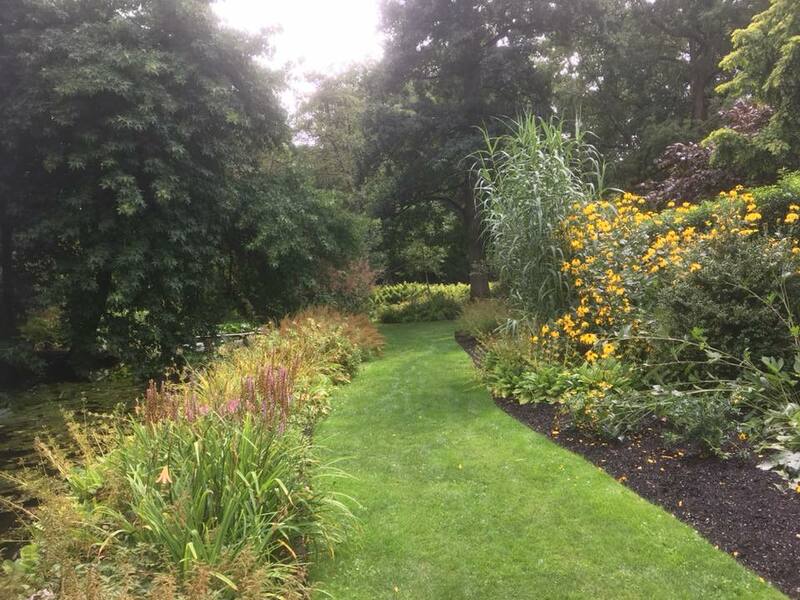 John Spedan Lewis spent much of his later life in these gardens and whilst the gardens remain true to this time, their philosophy is to evolve the landscape so that it remains a vibrant, tranquil and beautiful place to visit. 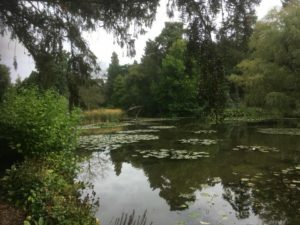 The water remains crystal clear, connecting the two islands and woodland valleys, Longstock and Leckford together. 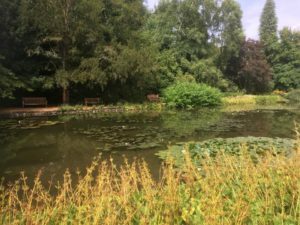 It is the perfect location and setting to nurture a diverse amount of plants, with over forty different Waterlilies alone. 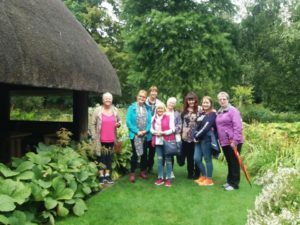 After filling our heads with amazing facts about the gardens, including the fact that there are only two full-time gardeners to manage the whole seven acres and that all the lawn edgings are trimmed every fortnight, we were let loose in the Garden to wander around at our leisure. You can see from the photos below that the sheer size of the gardens and the range of plants is staggering. 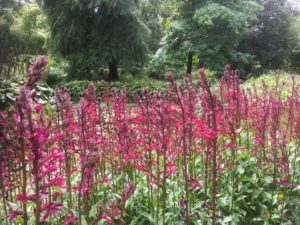 The planting is done in clusters to maximise the impact of the plants and we challenged each other to name the plants! 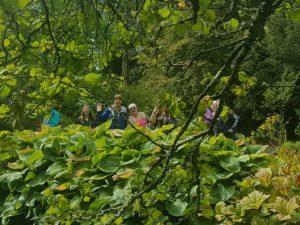 The sun came out for us which made incredible reflections on the water and enhanced the beautiful colours of the plants. 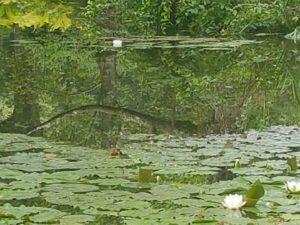 There were fish in parts of the river with small dams creating calming, trickling sounds, and we even saw the blue flash of a kingfisher flying past! 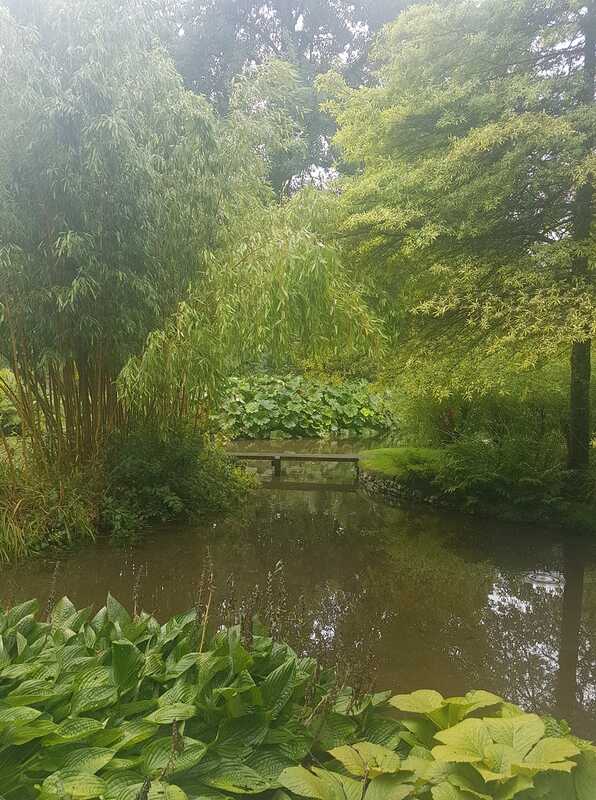 It’s the perfect place to bring a book and sit on one of the many benches to enjoy the sights and sounds of nature. 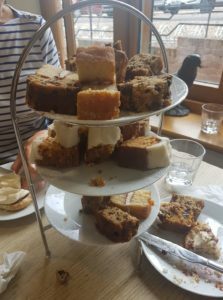 All too soon we were heading back to our cars for our next stop at the Leckford Estate Farm Café – a 5 minute drive up the road. 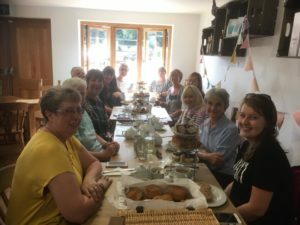 Our table was already booked and we were served with tea and coffee on arrival. 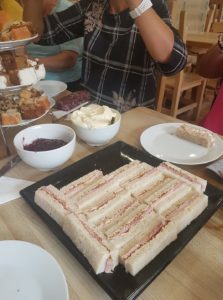 This was followed by huge square plates full of finger sandwiches – cheese and pickle, smoked salmon & cream cheese and ham and mustard – and our other dietary needs were catered for without fuss. 3-tiered cake stands arrived full of Victoria Sponge, Carrot Cake and Fruit Cake squares and a wicker picnic basket full of scones, with huge bowls of jam and clotted cream to accompany them. 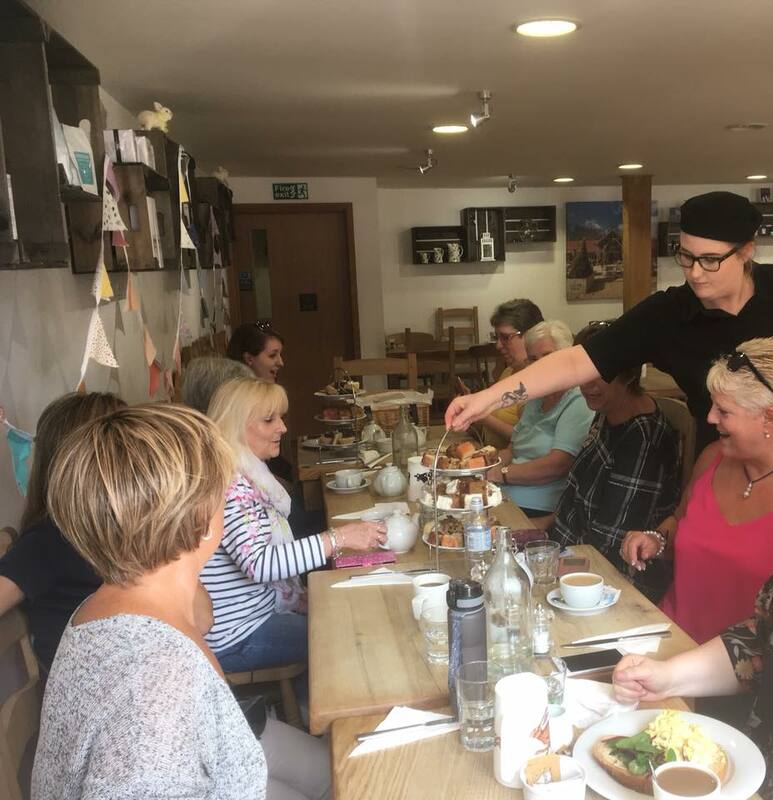 Needless to say that we were all stuffed full – we had to take goody bags home as we couldn’t let that fabulous food go to waste. 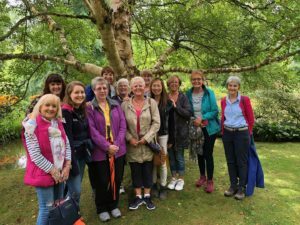 A truly wonderful afternoon, and many thanks to Jackie Bugg and Sue Arnold who organised the event for us.